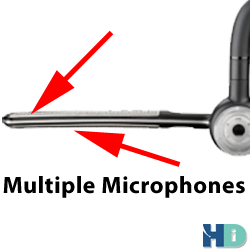 Benefits of Noise-Canceling Headsets - Headsets Direct, Inc. In our HEADSETS 101 series, we’ll cover all of those questions and more as we simplify and explain the benefits of noise-canceling headsets in great detail. The term noise canceling can be confusing because it relates to two different technologies. 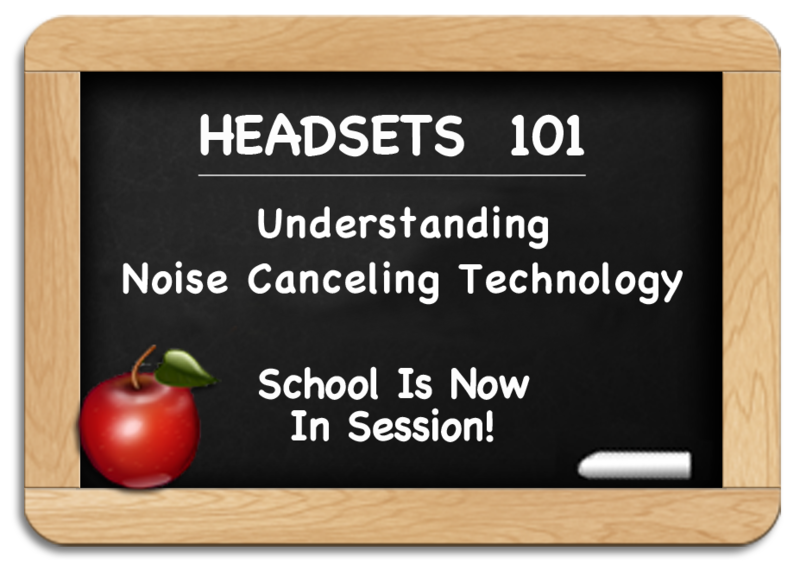 Prior to the 2000’s, a noise-canceling headset would only benefit your caller and had no direct effect on the user of the headset. 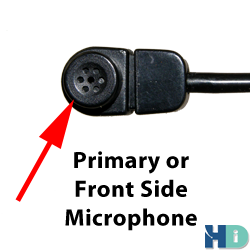 It was built into the microphone and would cut down on background noise around you, allowing your caller to hear you more clearly. Around 2015, manufacturers started introducing Active Noise-Canceling technology into headsets, which now benefits the user of the headset and improves their ability to hear more clearly by reducing background noise and distractions. 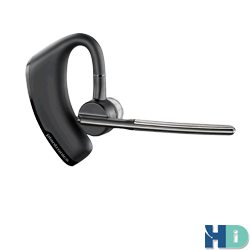 An example of a high-quality headset, great for softphone applications and Bluetooth connectivity, is the Plantronics Voyager Focus UC. To put it very simply, standard noise canceling affects your microphone quality and how your caller hears you. It has no effect or benefit for the person using the headset, and it won’t help you hear better in a loud environment. If you opt for a headset with Active Noise Canceling, you will have a much better experience in loud environments and will notice a significant improvement in clarity when compared to standard models. How Noise Canceling Works in Headsets. 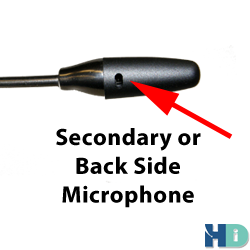 . .
A noise-canceling microphone has two or more microphones picking up sound from different directions. They have a primary microphone that faces your mouth, and a secondary microphone that picks up any background noise, also called the ambient noise. 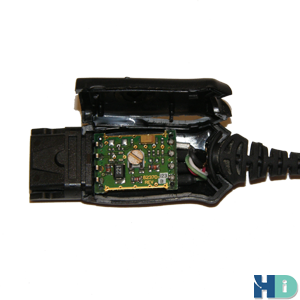 Before the audio is transmitted to your caller, your headset’s electronic circuitry is able to differentiate your voice from background noise, making your voice the dominant sound and minimizing background sounds. Noise canceling benefits some users more than others. It’s best to consider your environment and background noise. 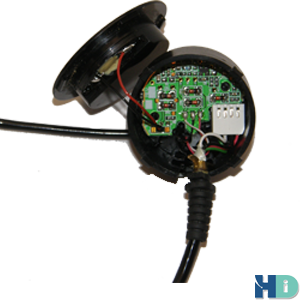 If you’re in a private office, a headset that uses a voice tube will give you the most crisp and clear audio quality. In this situation, choosing a noise-canceling headset will be counter productive and soften your voice, because there is no background noise. If you work in an open environment, or cubicle, a noise-canceling microphone will be critical for optimal audio quality. It targets your voice and reduces background noise by up to 75%, according to Plantronics, the manufacturer. 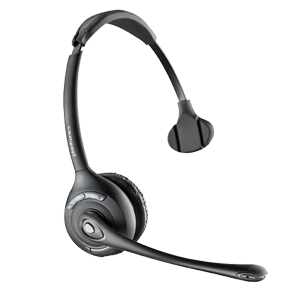 The Plantronics SupraPlus HW251N shown below is a popular headset for loud call centers and contact centers. Because every office is different, and each person’s perceptions vary, a great way to see if you need noise canceling is to call one of your potential users and listen for background noise. Pay special attention when you have silence on the line to see if you can hear people talking in the background, word for word. If you can, a noise-canceling headset will be a huge benefit. If you don’t hear much background noise, you can save a few dollars and purchase a voice tube headset, giving your users the most crisp and clear conversation possible. How Loud Is Your Environment? Does This Look Familiar? Many customers are now working from home and call us requesting noise-canceling headsets that will eliminate sounds, like dogs barking, or babies crying. A noise-canceling headset targets human voices that may be present in the background and reduces them by up to 75%. When you have a dog barking or a baby crying, a noise-canceling headset will reduce that kind of noise, but it’s so distinct your caller will still know you’re working from home. Our best advice is to make sure the dog barking or baby crying is in another room, as a headset can’t totally eliminate background noise, it can only reduce it… and remember it’s most effective in reducing the background sound of human speech. A popular solution for home office workers is the Plantronics CT14 wireless headset. When using this unit, you have the luxury of removing yourself from a distracting environment to a quieter location, where you can have a more normal conversation without distractions. Why Are All Wireless Headsets Only Offered in Noise-Canceling Models? You will also notice, if considering wireless headsets, they only come in a noise-canceling version. The reasoning behind this is, when you’re wireless, you may start out in your private office but find yourself roaming into a louder environment, thus needing noise-canceling technology. For instance, you go into the break room to get a cup of coffee, and your headset beeps to tell you there is a call coming in. Your co-workers in the room are having a nice conversation, but you can still answer your call because your caller won’t be able to hear your coworkers’ conversation. Or you take a call in your office, but you need to go into the main office to get a file, and there are several workers discussing a new proposal as you walk by. You won’t have to put your call on hold, because your caller won’t be able to hear the words of the discussion, due to the noise-canceling microphone on your headset. What are the Biggest Benefits of Noise Canceling Headsets? 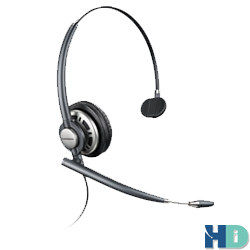 If you have a basic headset with little or no noise-canceling capabilities, as you talk to a caller, they will hear your voice, as well as the co-workers around you. This is very distracting to most callers. Any time there is silence during your conversation, your caller will hear your coworkers’ conversations word for word. With a good noise-canceling headset, your caller will hear your voice well above the background noise, and in those times of silence, they will only hear slight mumbling from coworkers in the background, instead of an entire conversation. High-quality headsets using a noise-canceling microphone will reduce background noise, allowing your caller to hear your voice more clearly. This is very important, because the clearer your voice is, the less information needs to be repeated, and your conversation will be more accurate. It also keeps your caller focused on your conversation and less distracted with background noise; this is very important in a professional business environment — to maintain a level of confidence and trust with your callers when pitching products and taking credit card information. Microphone Positioning is a Critical Component in Performance. When learning the benefits of noise-canceling headsets, a key component is microphone positioning. 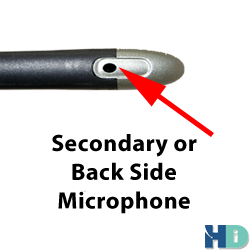 It’s important to bend or extend the microphone, depending on your headset model, so that the end of the mic boom is one quarter to one half of an inch away from your mouth (the same as 1 to 2 finger widths). If the microphone is too far away from your mouth, it may have a hard time differentiating primary versus secondary noises. If the microphone is too high or too low, it may not pick up your voice clearly. Why It’s Beneficial to Upgrade Older Headsets That have windscreens. 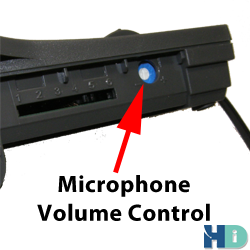 Microphone positioning is critical on older headsets that use a foam windscreen. A windscreen covers the microphones, making it impossible to know if you’re talking into the front or back microphone. By inadvertently twisting the microphone 180° and talking into the back side microphone, your headset will focus on your coworkers’ voices and attempt to cancel or reduce your voice. Older headsets have a flat surface area for the microphone. When you speak certain letters of the alphabet, they hit the flat surface and sound distorted to your caller. The windscreen is a critical component to round out the flat edges and absorb those hard letters, making your voice sound clean, crisp, and clear. 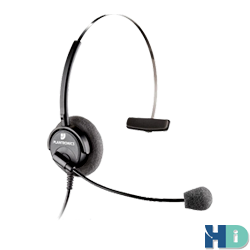 As technology has evolved, newer headset microphones have a rounded or tapered front that faces your mouth. 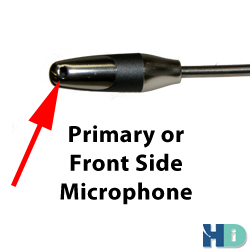 This allows the microphone to pick up your voice accurately and let your voice flow past the microphone. 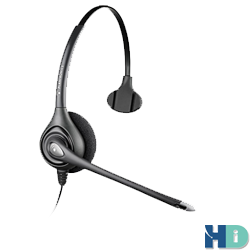 The windscreen served its purpose in the advancements of headsets, but by eliminating them, you know exactly where your primary microphone is located, and you have a healthier work space, because a foam windscreen is an easy place to spread germs, if headsets are shared. 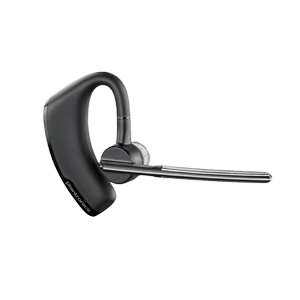 Bluetooth Headset Microphones Work Differently Than Business Headset Microphones. 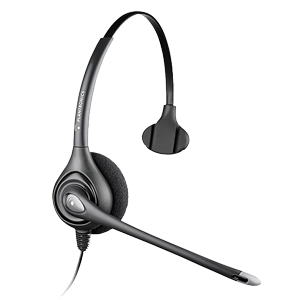 Business-grade headsets target your voice while cutting down the background noise of your coworkers. Bluetooth headsets attempt to reduce noise, but their primary goal is to cut down wind noise that is picked up from being outside. 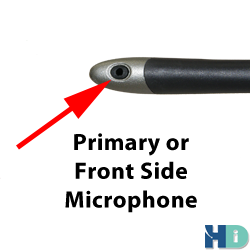 With a low-end Bluetooth headset, your callers will hear wind whistling as it passes by the microphone, making your conversation distorted, choppy, and you will have to constantly repeat information. High-quality Bluetooth headsets with multiple microphones will greatly reduce wind noise, making for a clearer, more normal conversation. If you need a solution that works great outside with wind and traffic noise, consider the Plantronics Voyager 5200 UC, which will pair with both your Bluetooth mobile phone/tablet and your PC/laptop for VoIP connectivity. How Amplifiers vs. Direct-Connect Cables Affect Noise-Canceling Microphones. You may find it surprising when using corded headsets, but an amplifier can greatly affect your noise-canceling microphone effectiveness. An amplifier gives you the ability to turn your microphone up and down. This provides the luxury of turning it down just enough so your caller hears you comfortably, but not making the mic so sensitive that it picks up unnecessary background noise. 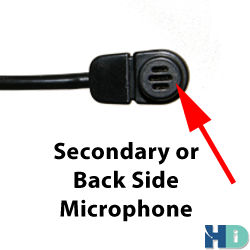 If you opted for a direct-connect cable instead of an amplifier, you don’t have any way of controlling the mic volume, and you must rely solely on the noise-canceling capabilities of the headset. If you’re having trouble hearing or being heard in an extremely loud environment with direct-connect cables, replace a few with amplifiers and test to see if your headsets become much better at reducing background noise. 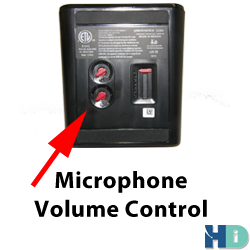 Wireless office headsets used with multi-line phones will typically have compatibility, microphone, and speaker controls on the base. By turning down the microphone volume as much as possible, but maintaining an acceptable volume for your caller, you can greatly improve the noise-canceling ability of the headset. Noise-canceling technology in headsets can make or break the experience your caller has with your company. Are you going to be able to close the deal? Not if there’s a dog barking or kids playing in the background. What about that awesome football game that happened last night your co-workers are loudly carrying on about? If they hear people yelling in the background with constant distractions, it will affect their confidence in doing business with your company. By using noise-canceling headsets, you will greatly reduce background noise, which improves the communication between you and your caller. Better communication means less information repeated and more accurate information from your calls for a more productive day. 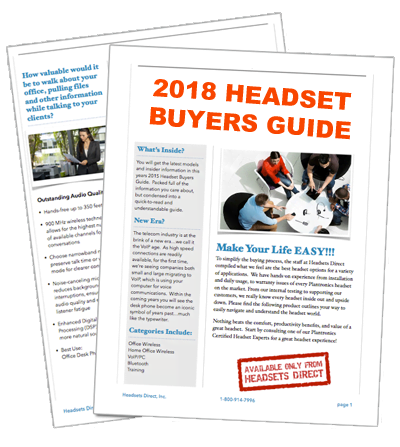 Be sure to thoroughly test and evaluate if a noise-canceling headset would provide great value in your headset investment. As you can see (or at least we hope you have seen) we’re one of the premier Plantronics headset dealers. You won’t find a better brand or more complete product line. Please allow us to help you with the right fit and the best wireless or corded headset that will fit your needs.